Being involved in developments and being a developer himself since 1989, Michael has the expertise and the understanding for most property scenarios from properties with encroachment issues to sitting tenants, large developments, single dwellings and portfolios. “Now over 28 years down the line vastly experienced in the property, investments and developments industry, I can confidently say that Homesearch will be moving forward and creating a new way of dealing in the property market for the future. With the understanding of clients, being a landlord myself, and the frustrations with agents that I have had to deal with in the past, we know that at Homesearch your experience will be gratifying and unique.” With thousands of clients around the globe, Homesearch Ltd has had involvements with large acquisitions and has used its time to develop and understand client needs. With Michael’s invaluable experience he is renowned for his remarkably accurate valuation abilities. He oversees the activities of the company and is responsible for the establishment of strategic goals and international clients. 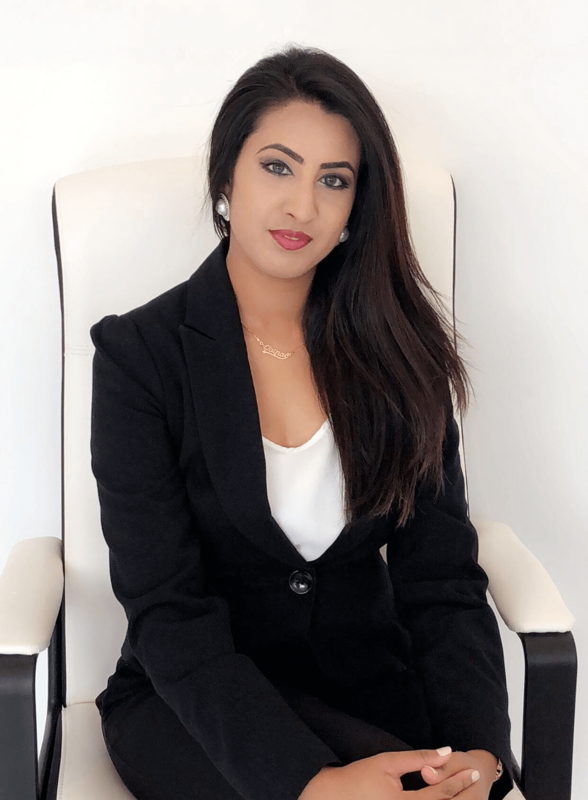 With her legal background and corporate experience, Zainab has changed the total concept of Homesearch Ltd. With Zainab’s professional experience and the grounded old time-honoured values of Homesearch, she is now establishing the corporate market and the image and development of the company. The new offices are a fine example of how Homesearch is now a 21st Century property company. Zainab says that working her way up the ladder has given her a wealth of knowledge in the property industry. She is responsible for managing the business in line with strategic vision, mission, aims and values implementing Homesearch’s long and short term plans. She manages the overall operations of the company including service development, marketing, communications, logistics and developing and approving strategies.